Howdy, and welcome to my Round Up of Rodeo and Western activities. I have taken some of my experiences and turned them into fun games and crafts for all ages. 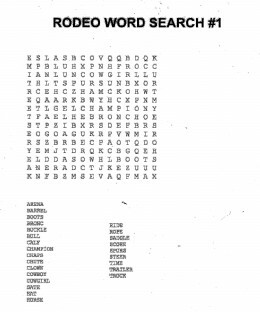 There are things on this page that can be used for activities at a western party, in the classroom or if you would just like to challenge yourself with a word scramble. 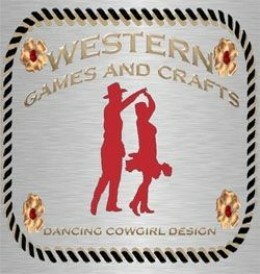 You will also find instructional videos for making western crafts for kids that can be used for play time or to decorate for a cowboy or cowgirl party. These printable pages are saved in a larger scale than what you are viewing on this page. I have saved the images in a larger format that can be downloaded and will print to fit a standard page. Use the links provided to get the full size pages. I have put together a game of bingo using common rodeo and western words. There are 20 different printable cards laid out 2 to a page ( like above) to get approximately the size of a standard bingo card. If you would like to make full page cards, run the individual cards back through your copier and resize it to 8x10. I have also included a page of squares with the words printed on them. Cut them apart and use them to draw from. There is a word call sheet that the bingo caller can use to scratch off the words as they are used in each game if they want to. Go here to download as many cards as you need. Have Fun! 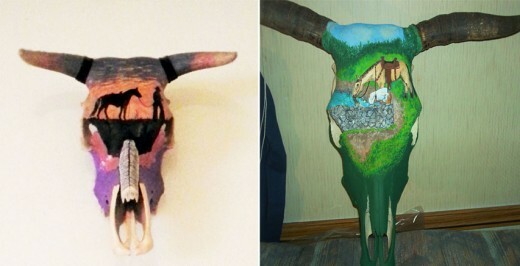 Here are example of two cow skulls that I painted. One has a cowboy and his horse walking and would be pretty easy to make one similar using western stencils. The other head has a much more detailed picture painted on it of a cowboy and his horse drinking water. They can be colored, painted or decorated many ways. I love having something to do on the long drives to a rodeo and usually take along some sort of word game book to pass the time ( if I'm not driving). I just haven't seen many with a rodeo theme so I thought I would make some to share with you. Right now I have 3 of them and you can get them here. Almost as much fun as a real calf scramble at the rodeo. The answers are typed upside down at the bottom of the printable page. 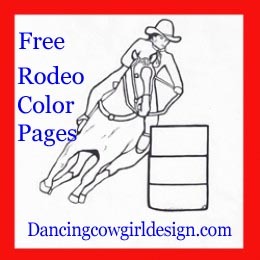 Print these coloring pages that are made to look like rodeo belt buckles. If you want to get a little crafty, color the picture, then cover it with a laminating sheet to make a little placemat. You could also reduce the size when printing to make coasters out of them also. 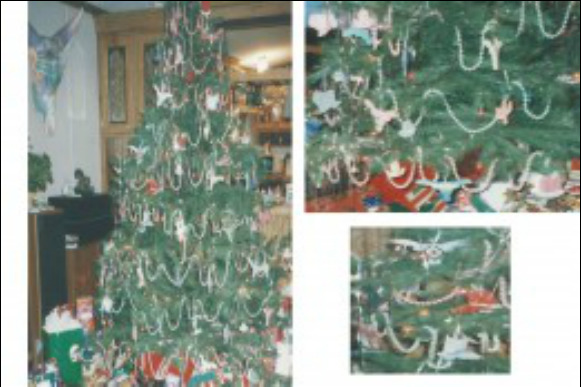 One year I filled my entire Christmas Tree with homemade western ornaments. I used a salt dough recipe and used my set of cookie cutters to cut out the ornaments then painted them. My house was decorated in a southwest theme at the time. As you can see in the first picture, I had a cow skull that I painted hanging on the wall. In the smaller pictures, I tried to bring you a couple of close ups of the ornaments. These ornaments are still around years later. Go here to get pages to print and color. There are barrel racers, bull rider, calf ropers and more. 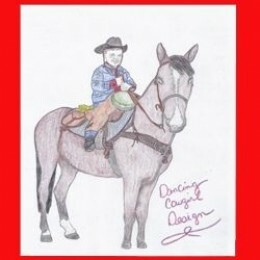 This is ﻿where you will find﻿ cowboys, cowgirl, horses, wagons and other western pages to print and color.